When I entered Sikkim by road, I felt I was entering a different country, in a good... awesome way. 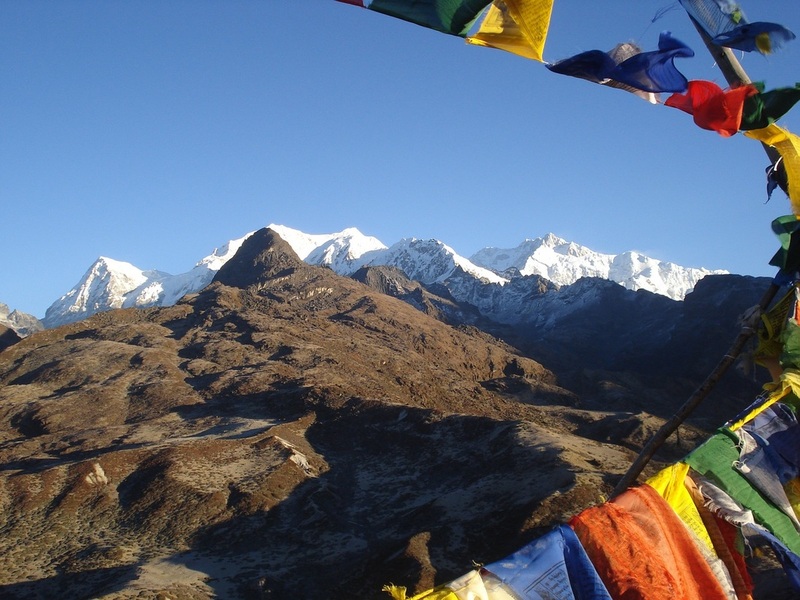 Yet another alibi to the diversity that India offers, Sikkim is a land where beauty redefines itself. A turquoise-blue river flowing through white sanded and white rocked valley, manicured roads, is just the beginning. With colourful monasteries rising out from scenic, virgin landscapes, and snow-capped mountains, every waking moment in Sikkim is a visual treat. For the adrenalin junkies, Sikkim houses Mt. Khangchendzonga the 3rd tallest mountain in the world, a variety of colour changing high-altitude lakes, and numerous treks and hikes. NOTE: Visa & Permits - For non-Indians, in addition to an Indian visa, a 15 day inner line permit (ILP) is required to visit Sikkim. The permit can be obtained on arrival at the Sikkim border office. Or, if you don’t want to make a stop to take the permit (takes half an hour) get one in advance from any Indian missions, Tourism Office, New Delhi, Sikkim Tourism office, Calcutta and Sikkim Tourism Office, Siliguri on the strength of an Indian Visa. Carry your Passport & two passport sized photographs. ILP can be extended for further 30 days at FRO at Gangtok, Superintendent of Police of North, South and West Districts. If you wish to visit the interior regions, you also require a Restricted Area Permit (RAP) OR Protected Area Permit (PAP) which is obtainable in Gangtok from the Police Check Post and Department of Tourism. Gangtok: Start at Gangtok, to ease into the awesomeness that lies ahead. A day of shopping and tasting amazing Indian foods (try the samosas) at the hill station shopping street (Mall Road) should give you a great kick start. The variety of colours, foods, and the peace loving, friendly locals are the cherry on top. 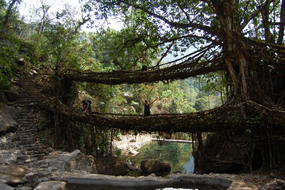 the stunning North Eastern states of Assam, with its tea gardens, Meghalaya with its tree root bridges, Sikkim with its vibrant Bhutanese culture and virgin, out-of-the-world gorgeous, mountain flanked landscapes have been keeping their beauty to themselves. ﻿﻿﻿﻿﻿﻿Is the striking rain capital of India, inspired many a famous poets and songwriters who have composed on the Megh Raaga (a progression scale of Indian classical music which requires decades to master, and if performed perfectly, is believed to create rain out of thin air).